A new cardiac procedures room with Pacing Laboratory. This involved careful liaison with the clinical staff to arrange the ergonomics and positioning of the C arm, pendant and examination lamp. We also had to work closely with the estates team and structural engineer. 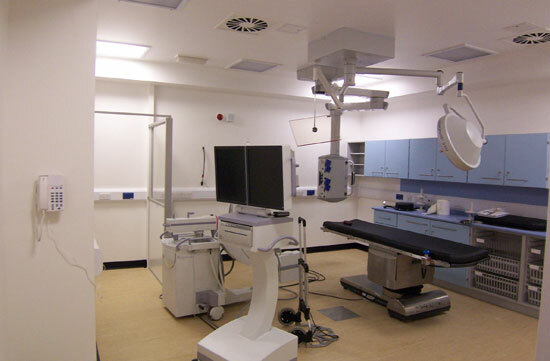 This was needed because the weight of the pendant necessitated additional structural support into a plant room above the clinical room. This had an effect on the existing plant which required relocating disrupting the existing ventilation system. We worked as a team to relocate the plant and install the additional structural beams with minimum disruption to operational services.